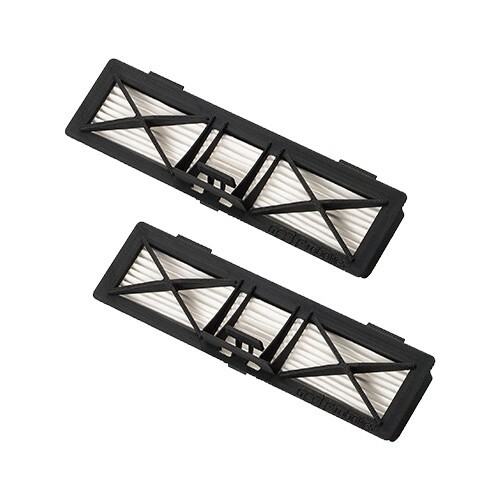 Neato Botvac Ultra Performance HEPA Filter 2 Pack Best for those concerned with allergies and for minimizing particulates in the air. Ultra Performance HEPA Filter captures twice the small particles (0.1 microns) than competitors. Best for those concerned with allergies and for minimizing particulates in the air. The ultra performance filter is the easiest to remove with the new latch design. Includes a new filter screen to keep dirt where it belongs – in the dirt bin. Compatible with Neato Botvac Connected, Neato Botvac D Series, and Neato Botvac Series robot vacuums.